Firetrust, the company that empowers consumers with tools to fight spam, has won PC World magazine Readers’ Choice Award 2004 in two categories, ‘Best New Zealand Software’ and ‘Best Anti-spam Software’. “This is wonderful vote of confidence in the quality of Firetrust’s MailWasher Pro software,” says Nick Bolton, Chief Executive. Firetrust Limited. “It’s no accident that Firetrust Limited has won such an award, as we are always introducing new and updating existing spam fighting tools to keep MailWasher Pro software effective in the fight against spam while maintaining and enhancing usability. Our aim is to eradicate our customers junk email problem so they can reclaim their inbox,” says Nick Bolton. “In the very crowded anti-spam industry, being awarded Best Anti-spam Software underscores our ability to deliver a valuable, easy-to-use software product with an innovative edge,” he said. “We’re honored to be chosen for these influential awards. Firetrust Limited was established in 2000 to provide world-class email security products for business and home users. Firetrust provide solutions across the spectrum of inbox protection, including MailWasher Pro for unsolicited commercial email (spam) and Benign to neutralize harmful email which can contain viruses, worms, scripts and web bugs. MailWasher Pro is available for purchase and download through the Firetrust website: www.firetrust.com. 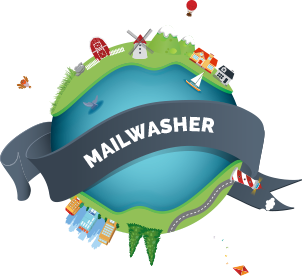 MailWasher Pro is priced at $US29.95 for a single user-license with discounts available for volume licensing. A free 30-day trial version can also be downloaded from the site. MailWasher Pro works with Microsoft Windows 98, Me, NT, 2000 and XP operating systems. It is compatible with all pop3 email programs, including, but not limited to Microsoft Outlook and Outlook Express, Netscape and Eudora; AOL, IMAP, MSN and Hotmail email accounts. To date MailWasher has had more than 3 million downloads. The PC World Readers’ Choice Awards were decided by subscribers to PC World Magazine who voted via an online system administered by independent third party Touchpoint. Readers were asked to name their favourite hardware, software, and services of the previous 12 months. The PC World Readers’ Choice Awards have been running for 15 years and are New Zealand’s largest survey of consumer attitudes on computer issues.